Efrosini is a name of boat Oceanis 343 ,which has been built in 2007. You can charter her from harbor Athens around Athens. Efrosini is furnished with 7 sleeping places. 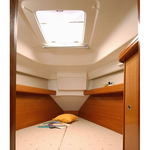 Beds on the sailboat are configured in 7 layout. 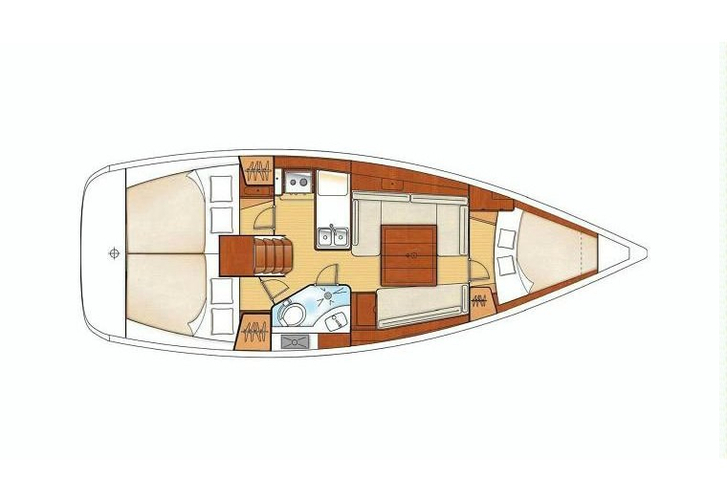 3 bedrooms are located inside the boat Efrosini. You can analyze other vessels by moving to this section: Yacht charter Athens. 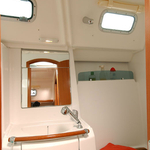 Guests can feel good on this sailing boat , because there are 1 toilettes for their disposal. With 75.00 l liters in fuel tank you can sail really far and still be independent because of 250.00 l l. in water container. Efrosini is equipped with motor Yanmar 28 HP. 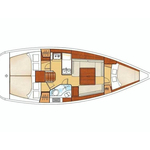 Yacht's dimensions are: lenght overall - 10.66 m , beam - 3.57 m and 1.50 m of draft. On the sailboat there is following equipment: Bed linen & towels, CD/MP3/USB player, Bimini top, Dinghy, Teak cockpit, Anchor electric windlass, Inverter 12v-220v, Autopilot, Gps plotter, Furling mainsail. . Nonrefundable caution has value 1500.00 EUR. In our search engine you can effortlessly check avalailability of sailing boat Efrosini from Athens by opening this link here: Yacht charter Greece.